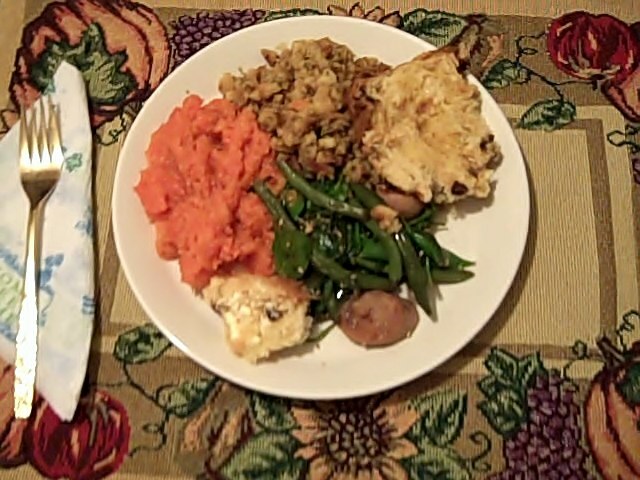 It took 1.5 hours total to prepare the whole meal. It took 4 minutes total to polish off a plate. Merry Christmas and a wonderful holiday season to all. 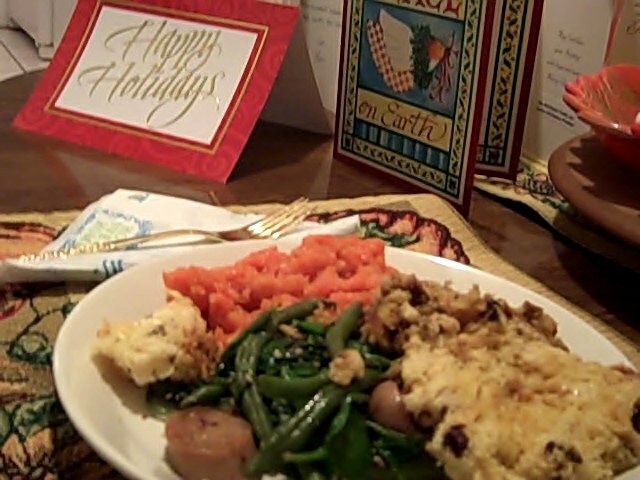 This entry was posted on Friday, December 25th, 2009 at 5:08 am	and tagged with christmas eve, dinner and posted in Uncategorized. You can follow any responses to this entry through the RSS 2.0 feed. Mm, delicious! 4 minutes total to polish off a plate.That's how we roll, too. Once the food is ready, snarf it down! Sounds delicious, especially the vanilla maple tea! !